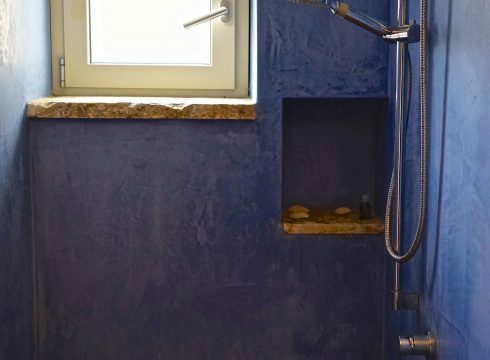 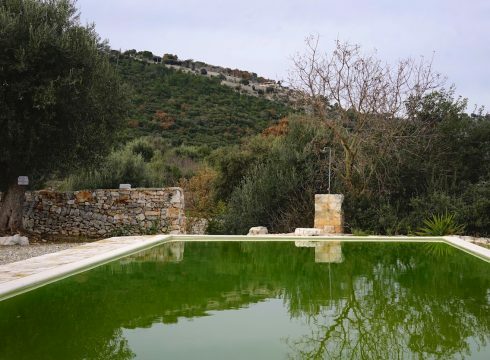 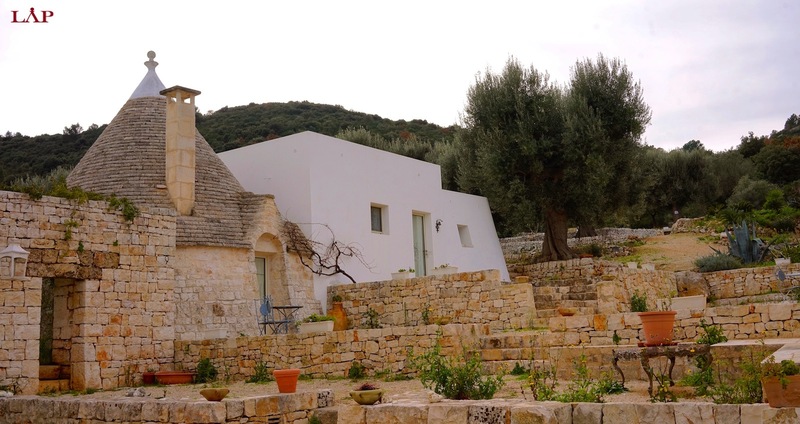 Masseria Ulivi lies in the hills of Puglia’s Adriatic coast near the town of Fasano. 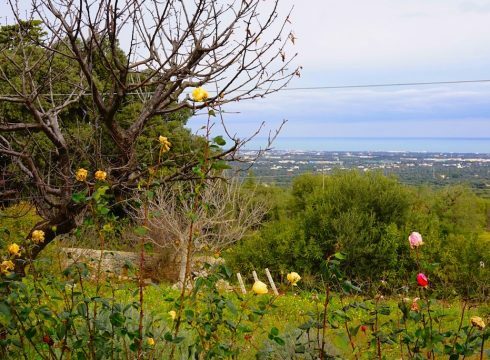 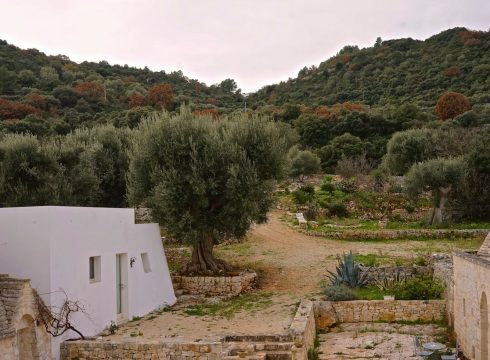 The property offers a unique location with panoramic views of the ocean, the mountains, and the rolling olive tree dotted hills. 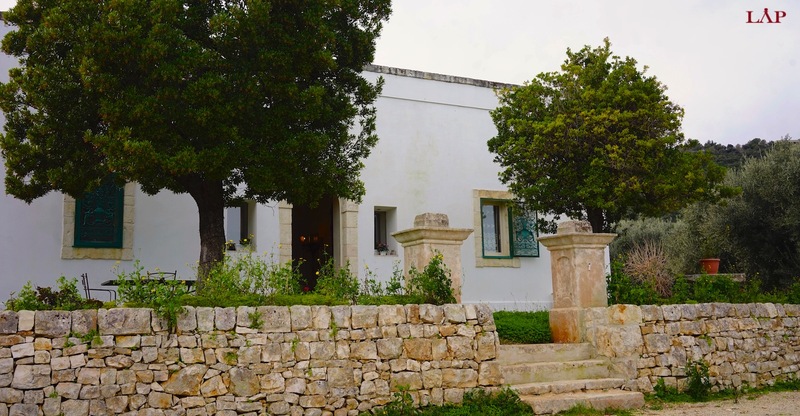 Masseria Ulivi is reachable under an hour from both Bari and Brindisi airports. 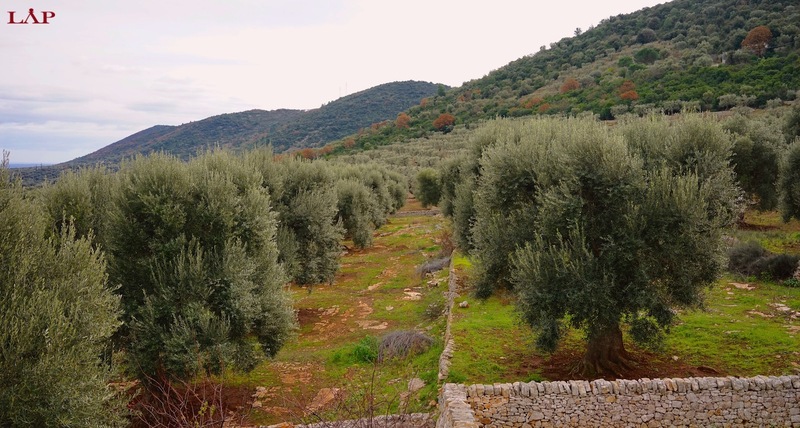 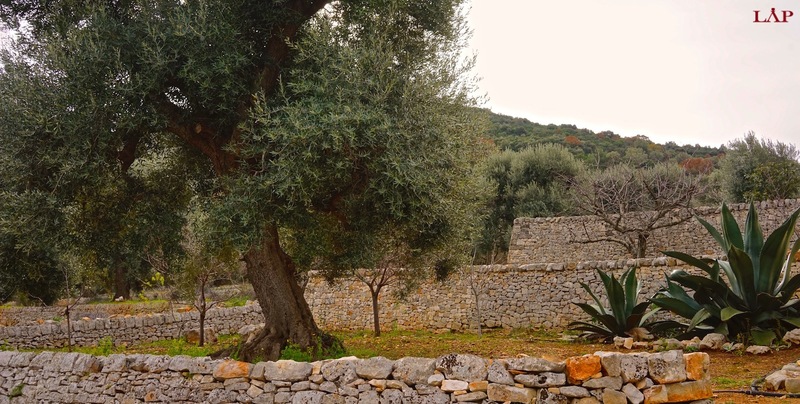 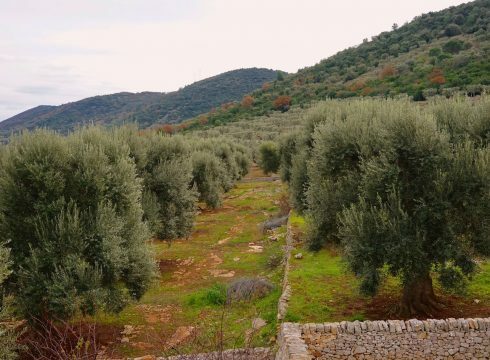 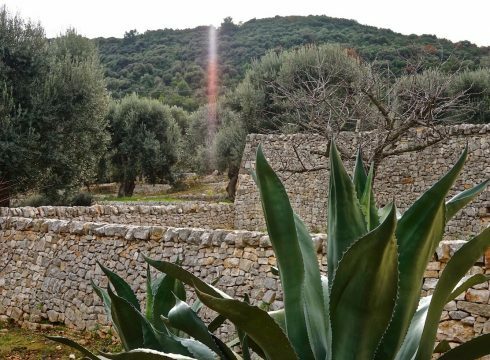 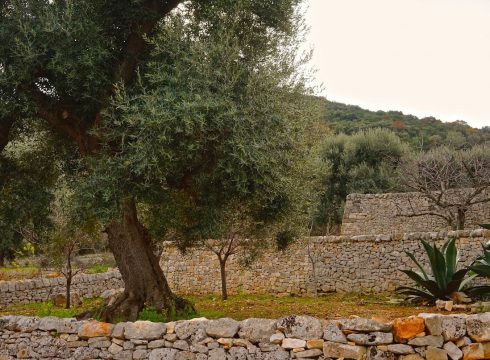 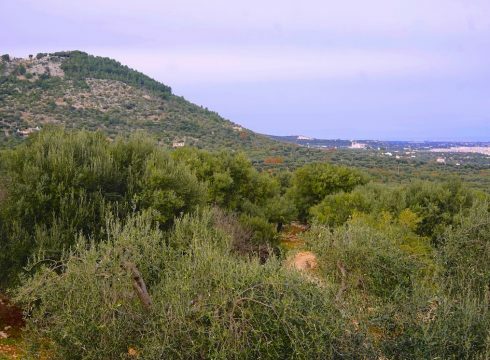 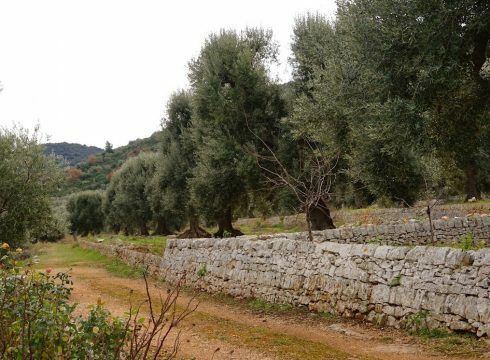 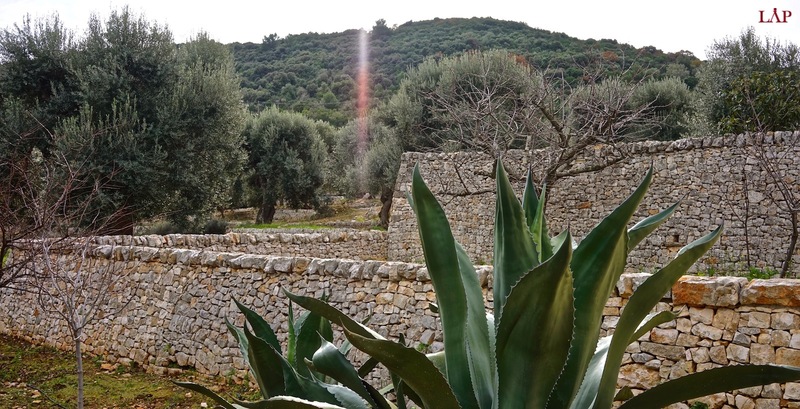 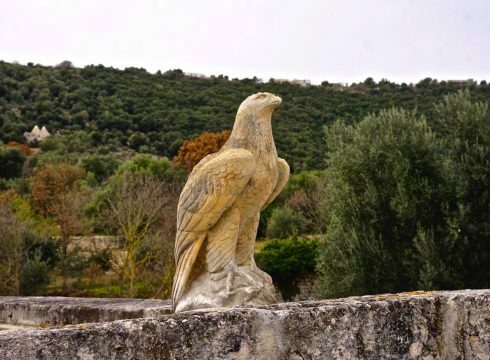 The property grounds are 3.5 hectares in size and are dotted with over a 130 old secular olive trees. 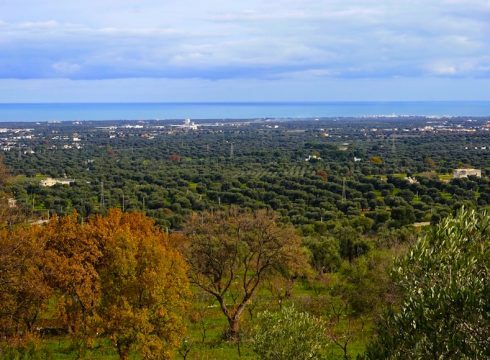 The area is partly considered a nature reserve belonging to the Italian government, and that means that there are no obstructive buildings or roads nearby. 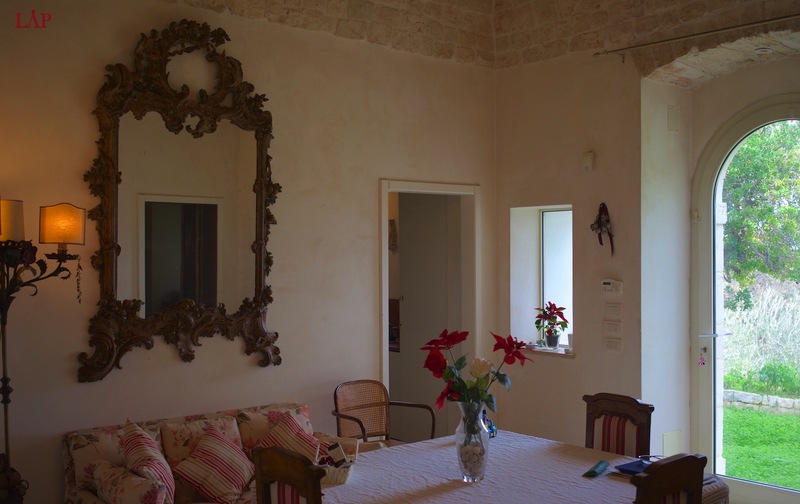 Masseria Ulivi is composed of 3 main structures. 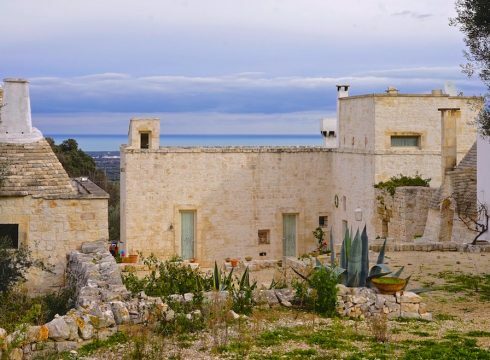 Main house 185m2 – looks directly onto the Adriatic Sea. 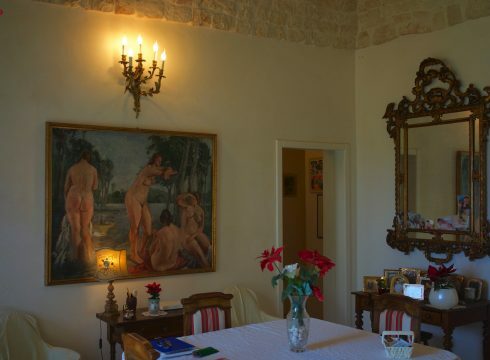 It is surrounded by a terrace with an ocean view and an inner court yard, which leads you to the two guest houses. 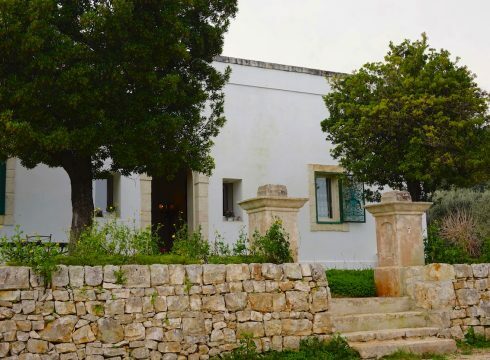 In the main house there is a large walk in area, kitchen, living room, master bedroom, master bathroom, an alcove with a fireplace, and another lounge room with a fireplace and a bathroom. 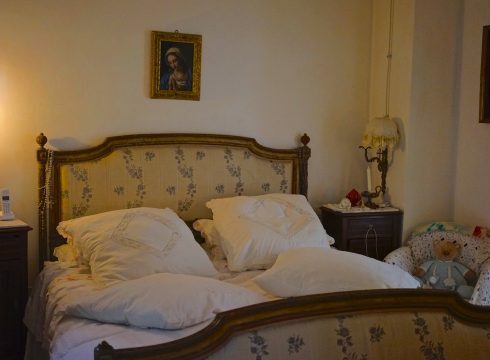 In theory this could be a second bedroom. 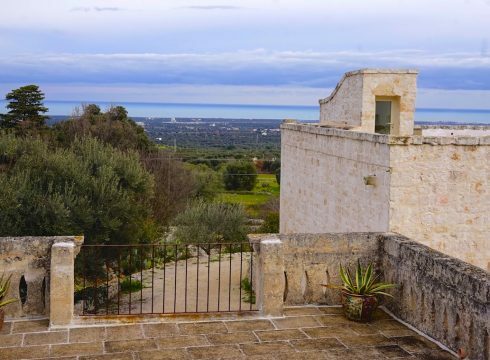 The rooftop terrace is accessible via a neat stone stair case, that leads you to the best view this region of Puglia has to offer. 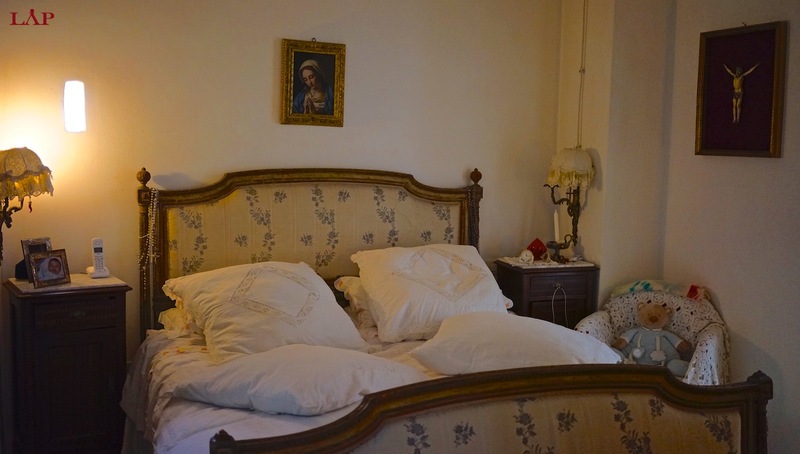 On top of the terrace their is a mini studio apartment with a bathroom for guests. 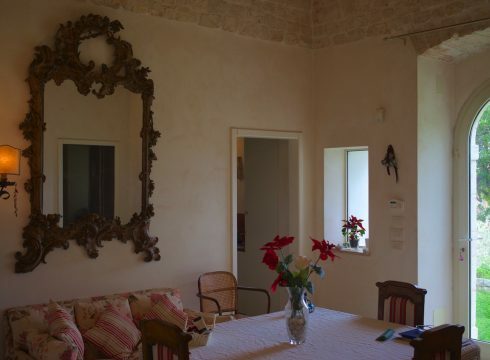 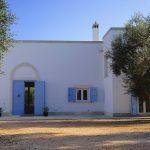 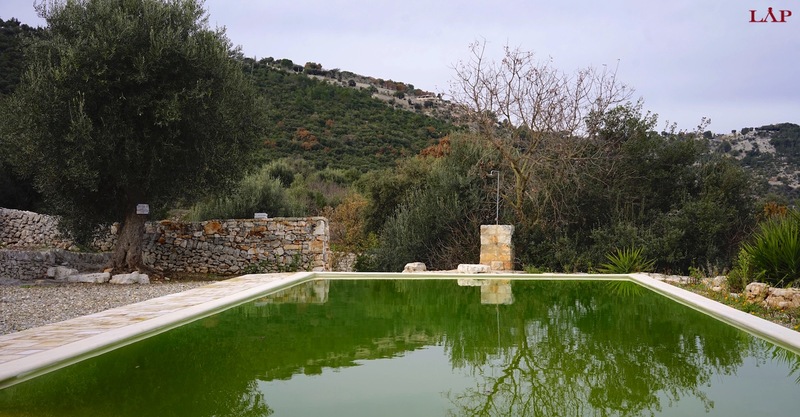 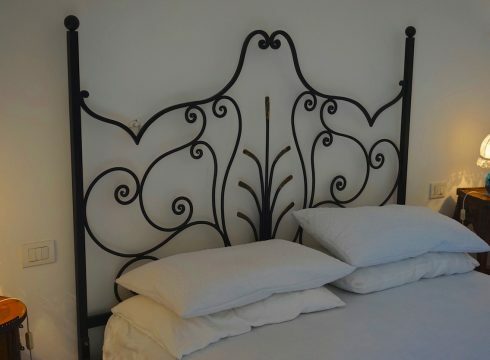 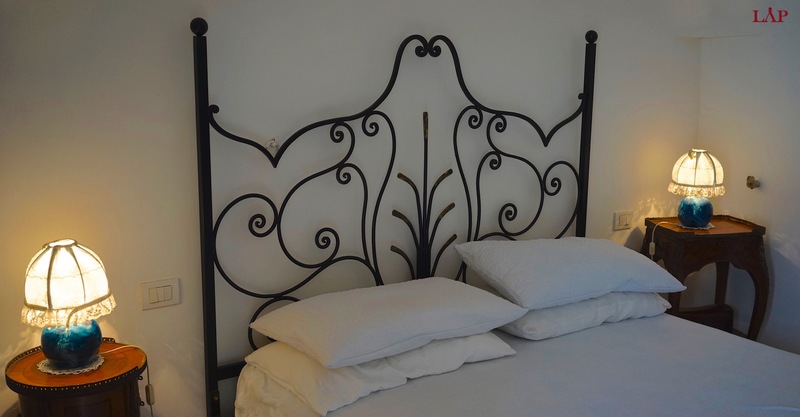 Guest House Apartment 82m2 – This consists of a trullo and a lamia structure. 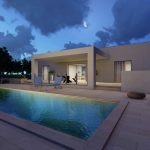 In total it offers 3 bedrooms, 2 bathrooms, a kitchen, and a romantic citrus courtyard. 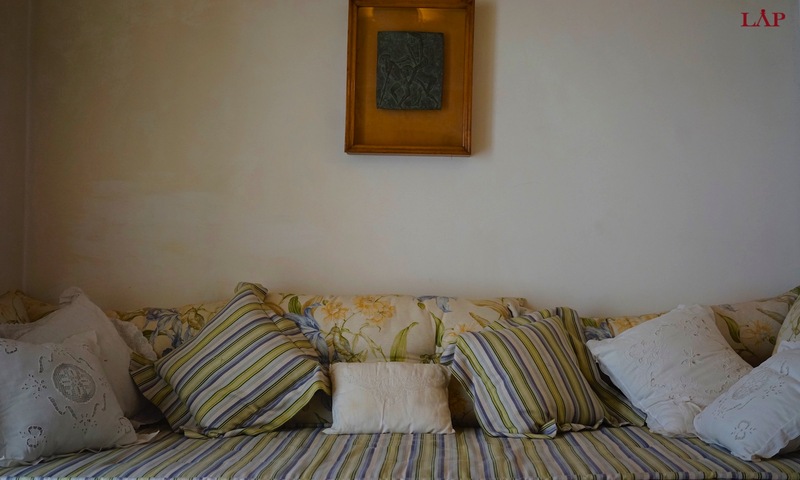 Guest House Apartment No. 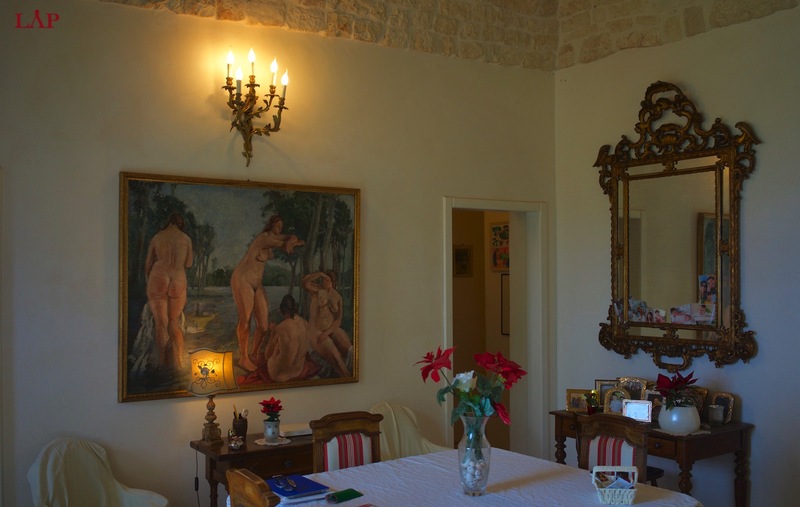 2 83m2 – Directly opposite the first guest house is another well designed building. 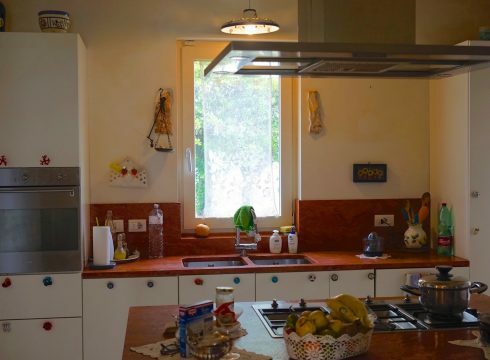 This consists of two independent apartments attached to one another. 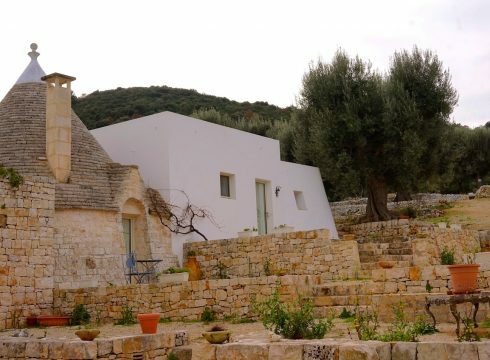 A combination of trullo and lamia. 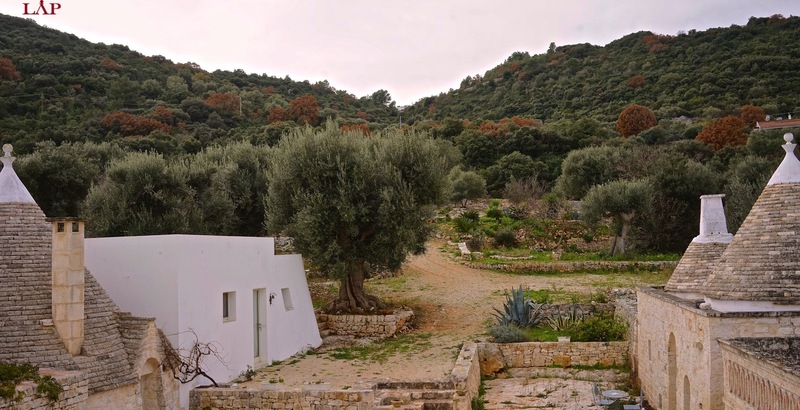 It offers two bedrooms and two bathrooms in total. 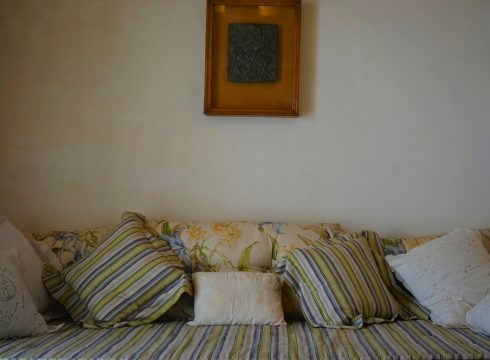 Pay close attention to the interior design; because you’ll find something there you won’t see anywhere else. 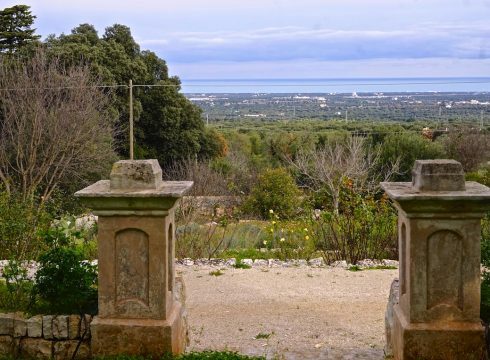 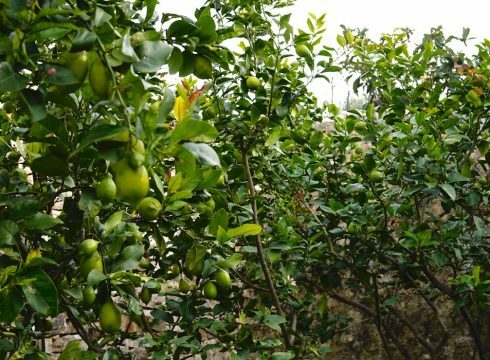 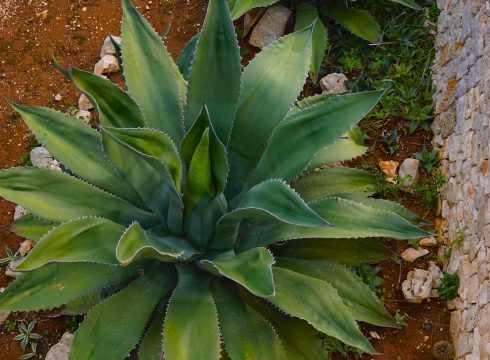 The Garden – full of great big olive trees, wild plants, flowers, roses, citrus trees, aromatic herbs, and rolling hills. 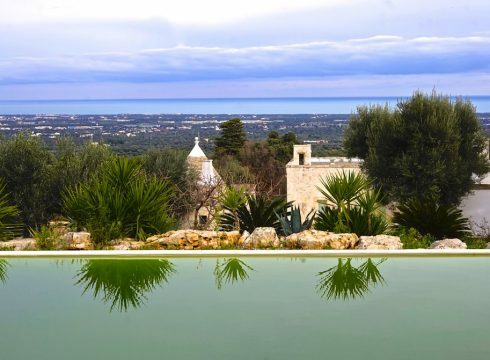 It also offers a large swimming pool overlooking the big mighty blue sea. 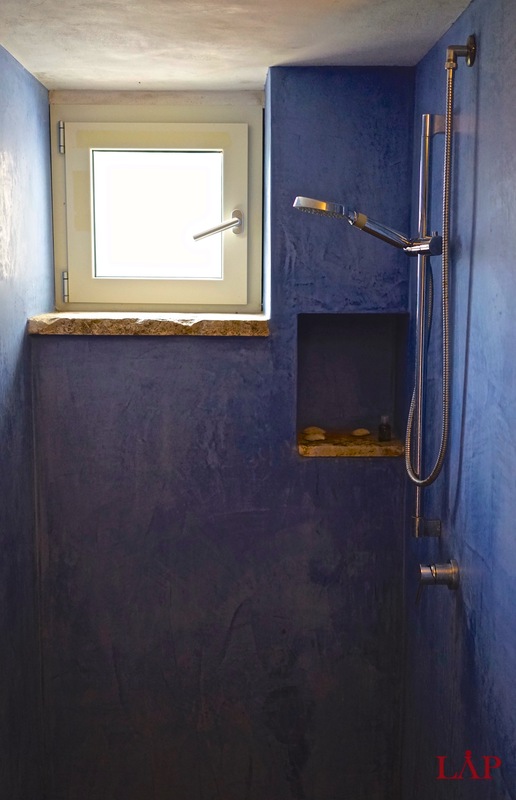 There is an outdoor shower, pizza oven area as well as sun lounging spot. 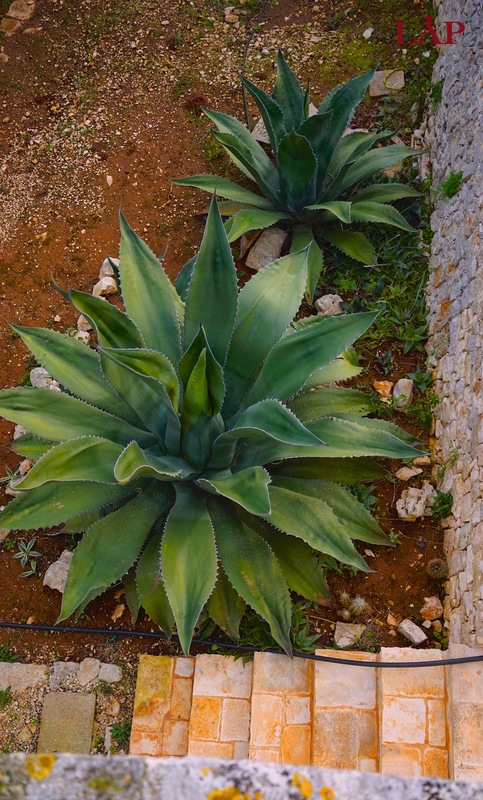 This spot needs a pergola to complete the picture for summer entertainment. 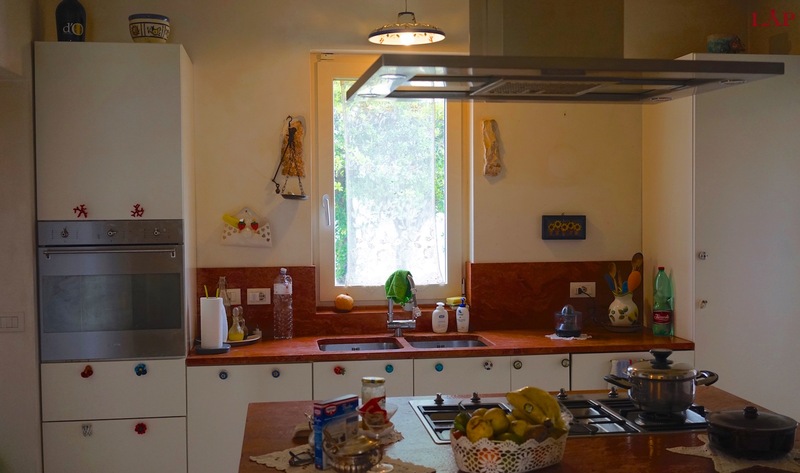 Click here to download a floorplan for this property.